Romance, romance, romance! To me, that's what wedding vows are all about; the love between the couple. I love when the couple take the time to write their own vows and live out those words. If you saw the movie The Vow, you know exactly what I'm referring to. 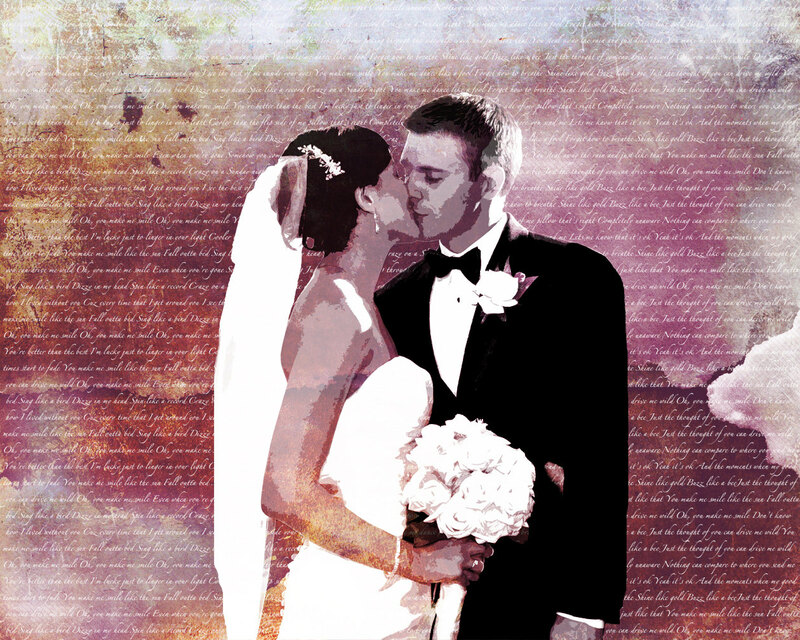 Today, is Trendy Thursday and I wanted to show how some have chosen to preserve their wedding vows. 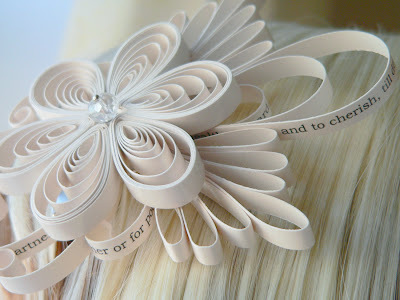 Now who would have thought of wearing their wedding wows as a hair bow?! This is one way to really make a fashion statement and have the words that were spoken to you on your wedding day close to you at the same time. The message in the bottle is an old favorite. 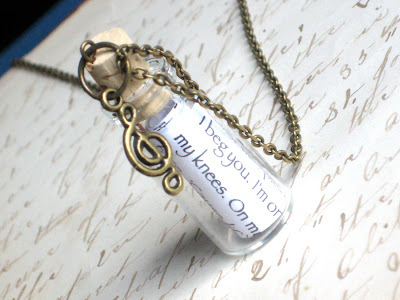 By putting them in a bottle and wearing them around your neck, this is another good way to keep your wedding vows close to you and close to your heart. Are you into art? A portrait is the best way to combine the two and display your favorite wedding photo and the wedding vows you spoke to each other. Hang it in a main area of your home and you'll always be reminded of the wedding day as well as the vows you shared.